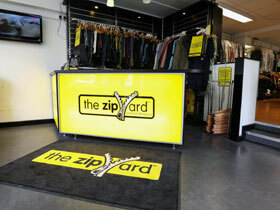 The Zip Yard, Nenagh offers the best garment alteration service in Tipperary. 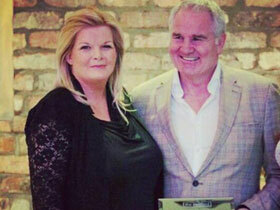 Donna & Christine pride themselves in dealing with their customers on a personal level. 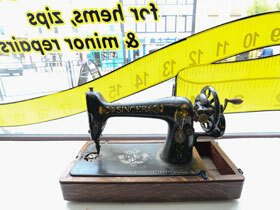 Services include Restyling, Tailoring , Bridal Curtains, Dry Cleaning, Alterations and Repairs. 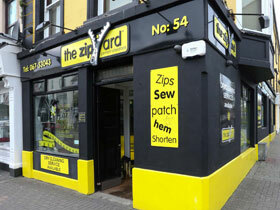 In The Zip Yard, Nenagh, there are highly skilled and experienced seamstresses who take pride in their work whether it a small repair or garment redesign. Customers can walk into the shop without an appointment and where necessary, garments can be immediately measured or pinned in one of our large fitting rooms. NEW to Nenagh is a private Bridal fitting room, by appointment only. It offers privacy with room to relax and time to chat to the team about what is required .We employ fully qualified seamstresses to ensure all wedding wear is fitted to perfection. We offer a `1 hour EXPRESS service` for hems, zips and minor repairs where you can wait in the relaxed atmosphere of the shop. Our text service insures you are notified once your garment has passed our quality control and is ready for collection. The Zip Yard Style Talks by Donna & Christine are a popular event that is most enjoyable and can be booked by calling the store on 067-33043. With a traveling rail of garments that have been remodeled, they talk about all things from restyling wedding outfits/winter coats to simple ideas like adding a sleeve or a panel for some extra room. 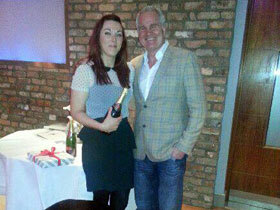 The Zip Yard, Nenagh was also the proud sponsor of the Tipperary Rose 2017, Sheila Ryan.